This league is currently in progress and is scheduled to end on July 15, 2015. 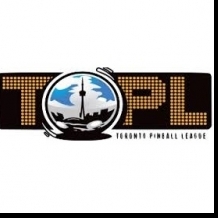 The Toronto Pinball League is a weekly league, we meet every Monday. Players are put into groups of 4 or 3 and play 4 games, with points being awarded as 4,3,2,1 for highest to lowest scores. In 3 player groups we use a median score to determine the point totals. The Season lasts 15 weeks, at the end of the Season we crown a League Champ, and then have a final playoffs. The league is 100% open on any given Monday, drop in's are welcome but there are fee's which are discussed on the website.